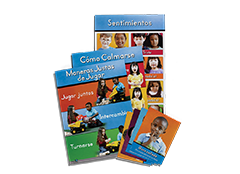 Spanish-language classroom posters (set of 3) and Listening Rules Cards for the Second Step Early Learning Program. 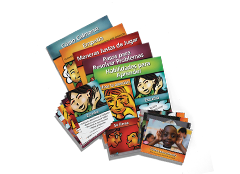 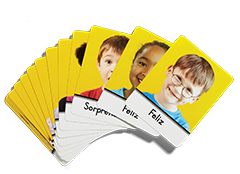 Spanish-language classroom posters, Listening Rules Cards, and Skills for Learning Cards to be used with the Second Step Program for K–5. 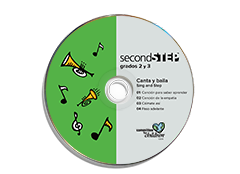 Supporting your efforts to reach students in native-language, dual-language, and immersion programs with Spanish versions of the Second Step Kindergarten and Grade 1 songs. 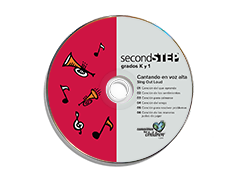 Supporting your efforts to reach students in native-language, dual-language, and immersion programs with Spanish versions of the Second Step Grades 2 and 3 songs. 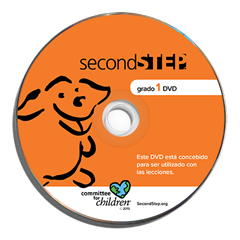 Spanish version of the Second Step classroom DVD for Grade 1. 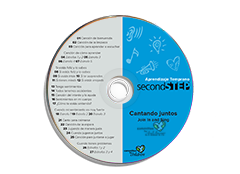 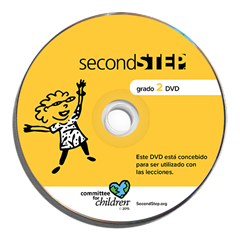 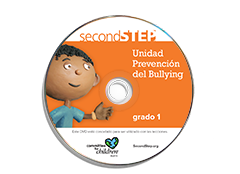 Spanish version of the Second Step classroom DVD for Grade 2. 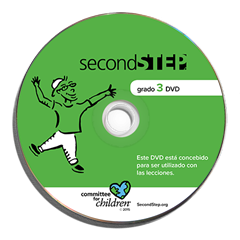 Spanish version of the Second Step classroom DVD for Grade 3.